New Orleans funerals, though.... Now, I've never actually been to one. I did live in the Crescent City, but I was age 2 to 4, and I don't remember going to any funerals. At any rate, Cajun funerals aren't exactly in the Southern Baptist style. I used to believe a New Orleans-style funeral -- featuring a brash and brassy musical bash, complete with parade -- would annoy or even offend me. Now I crave them. I wish folks in the Northeast and elsewhere could somehow learn something from this tradition. I long to see a funeral like this jubilantly epic procession in honor of the great Allan Toussaint, who died about a year ago. Toussaint: What a wonderful name to remember this week, don't you think? Very apropos of the liturgical celebration many of our churches just observed. I'm no cultural anthropologist, but my sense is that this style of celebration taps into a foundational, transcutltural phenomon that expresses something essential about human experience. Celebrations surrounding Halloween, the Day of the Dead, Mummers' Parades and Carnival, and (perhaps?) Purim are in a similar category, if my hunch is correct. What such transgressive celebrations have in common is that they express the only really appropriate human and humanizing reaction in the face of the power and ubiquity of death -- defiance, but with humor. Yes, death is contemptible and worthy of our mockery and our scorn. 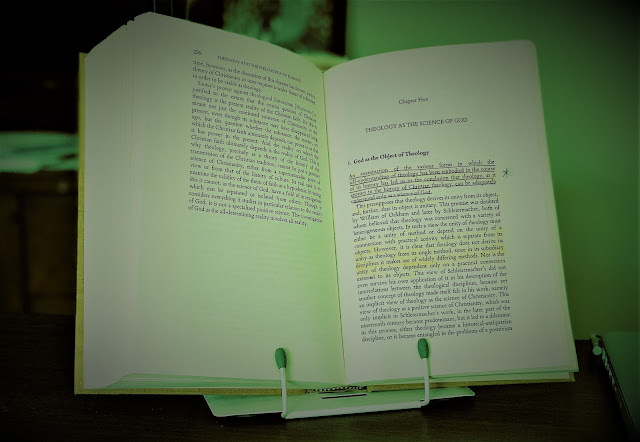 The lawyer and lay theologian William Stringfellow went on tour with his partner, the poet Anthony Towne, trailing a circus in a station wagon as "theologians in residence" (See Bill Wylie-Kellermann, William Stringfellow: Essential Writings, Orbis, pp. 207-210). Stringfellow was obsessed with circuses and collected circus memorabilia. He considered the big top to be an image of the Kingdom of God, in that its animal tamers evoke humankind's rightful but lost dominion over creation and its trapeze artists and stunt masters defy death, literally. That's exactly right. In a man's attachment to life there is something stronger than all the ills of the world. The body's judgment is as good as the mind's, and the body shrinks from annihilation (see "The Myth of Sisyphus" and Other Essays, Vintage Books, p. 8). To be sure, I'm not denying that death entails chemical and physiological processes; I am, though, contesting the notion that death can be identified with and reduced to these processes. I am speaking of death dialectically, and I refuse to dignify it with any positive ontological status whatsoever. 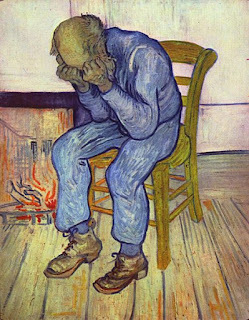 Nonetheless, I am imagining that some of you, gentle readers, object: What about the times when death is welcome -- say when it ends an elderly person's long struggle with illness and chronic pain? I get it, but I think there is a misunderstanding here. What we are affirming here is not death itself, but the end of the process of dying, for death has been exercising it's ineluctable power throughout the course of the sufferer's struggle. All this defiance of death may be understandable, some of you might say, but isn't it ultimately futile? Each of us must eventually face this primeval beast head-on, and death always claims the prize. Fair enough. Still, I pray that when it comes for me, I may be graced to face it with a resigned yet joyful defiance, clinging to the goodness that is life. Peace with God? I pray so. Peace with others and within myself? Lord, let it be. But peace with death? Nope. To be sure, we can't defeat death. We might hope, perhaps, that Someone else will do it for us. For all we know, maybe Someone else already has. But whether you believe in that possibility or not, I can only recommend this procedure: Don that costume, blow those trombones, feast and party, "live humanly" (as Stringfellow admonishes). And, looking death straight in the face, shout: "To hell with you!" -- These posts from other DET contributors. -- This funeral sermon by Henry Coates. 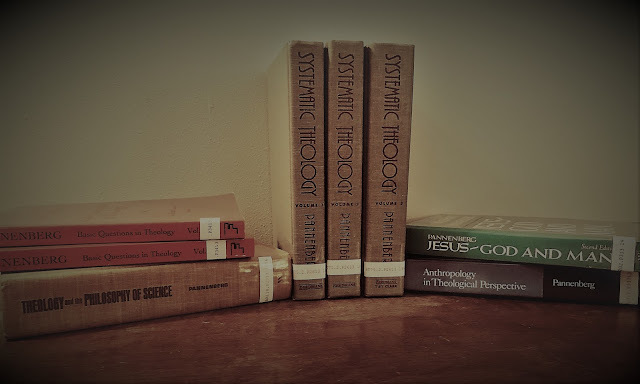 -- My post from last year: "No Happy Mediums: Stringfellow on the 'Afterdeath'"
-- My Review of John Heywood Thomas' Theology and Issues of Life and Death, over at Jason Garoncy's fine blog. Nice! Thank you for that. I would be interested to know where fear factors in here. I think a lot of people think about making peace with death in terms of overcoming one's fear of death. Does this mean that you think fear is actually part of the appropriate response to death? Thanks, that's a great question. I'll personally admit I'm afraid of death. I'm afraid of lots of things, actually, and I think many of those things, those natural human insecurities in an uncertain and dangerous world, are shadowed by the ubiquity of death -- fear of aging and sickness (and fear of the elderly and the sick!) for example. This passage stirs my heart: "14 Since, therefore, the children share flesh and blood, he himself likewise shared the same things, so that through death he might destroy the one who has the power of death, that is, the devil, 15 and free those who all their lives were held in slavery by the fear of death" (Hebrews 2:14-15). Clearly, if we take this passage seriously, those of us who profess faith in Christ are offered some kind of promise that associates Christ's work with overcoming the fear of death. Whatever one makes of this passage, it seems to me, at least, to be saying that overcoming the fear of death comes from trust in a source outside our own resources. Of course, I'm sure one can cite many examples of non-Christians who have faced death with stoic dignity and courage, perhaps even joy, so I wouldn't presume to rule that out. Perhaps, I would suggest, though, those folks are given this peace of mind through a gift of grace as well. So I guess what I'm suggesting here -- and, really, I'm just thinking out loud -- is that the process of overcoming fear of death would involve not an embrace of death in itself but rather some sort of affirmation (even if subconsciously) of a greater reality, however that is understood. Thanks, Scott. Yeah, I'm afraid of death too, and a lot of other things, and I think most of those things have to do with my fear of death. I really like your response about it being an affirmation of a greater reality that overcomes the fear of death. It seems to me that a lot of this has to do with the imagination. My problem is not cognitively knowing that there is a greater reality, but some sort of failure of the imagination to inhabit that reality. The fleeting moments when my fear is quelled seem to be when I am connected to this reality through the imagination.